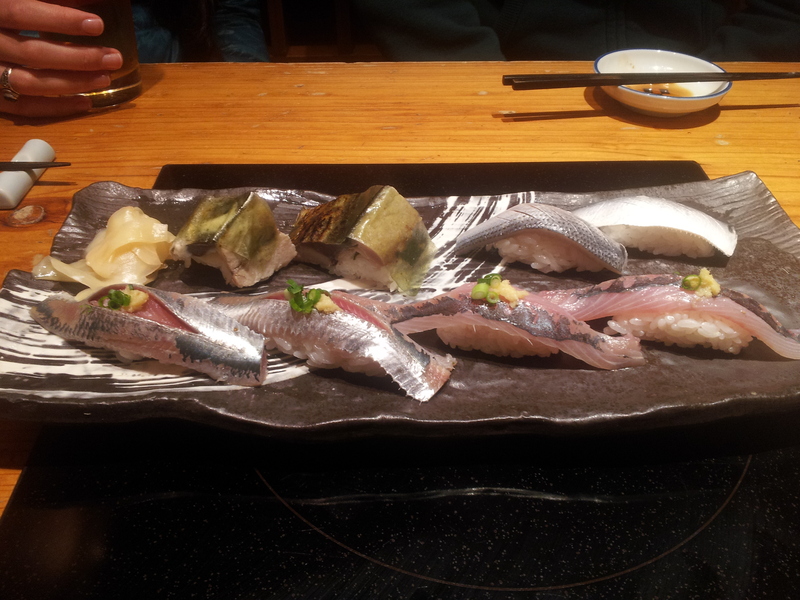 Just some amazing sushi, served with the utmost humility. I am currently in Tokyo and perhaps one of the strangest experiences I’ve had is being thanked and greeted, in unison, by all the waiters when I left a restaurant. It was as if the king and his retinue had just visited. This is not uncommon, apparently. The last customers to leave a store are often bowed to, I’m told, and it’s a distinctly unpleasant experience for a Western mindset.